Text of Question #3–Shall there be a convention to amend or revise the Constitution? Snider, J.H., and Beverly Clay, R.I. handbook shows blatant bias, Providence Journal, September 25, 2014. Edgar, Randall, R.I. groups debate costs, value of Constitutional Convention, Providence Journal, October 2, 2014. Snider, J.H., and Beverly Clay, The Master Puppeteers Behind R.I.’s 2014 Voter Information Handbook, RhodeIslandConCon.info, October 11, 2014. Editorial: Time to Reframe Question No. 3, TheWesterly Sun.com, October 26, 2014. Secretary of State Mollis acted as a puppet for the legislative leadership in drafting Question #3 in the 2014 Voter Information Handbook. The Bi-partisan Preparatory Commission was used as political cover for the puppetry. The “preparatory commission” is mentioned five times in the 2014 Voter Information Handbook. Consistent with the puppetry, Secretary of State Mollis overturned the opinions of both his inside legal counsel and outside bond counsel that the Bi-partisan Preparatory Commission’s cost estimate should not be included in the 2014 Voter Information Handbook. In the 2014 Voter Information Handbook, more space (21 words) is devoted to the physical location where a copy can be found of the Commission Report in Room 208 of the State House than to the issues that a Constitutional Convention could address (zero words). Both the legislative leadership and moderator of the Bi-partisan Preparatory Commission have been strongly opposed to convening a state constitutional convention. Both the Bi-partisan Preparatory Commission Report and the 2014 Voter Information Handbook failed in their respective explanations of Question #3 to explain the democratic function of a periodic constitutional convention referendum. Paul A. Campellone, outside attorney and bond counsel at Adler Pollock & Sheehan P.C. responsible for reviewing all referendum questions. **McCaffrey rarely spoke at the Commission hearings; Keable served as moderator. House staff also did the primary work drafting the text for Question #3 in the 2014 Voter Information Handbook. July 13: Bond counsel to provide final language for questions as they will appear on the November ballot. July 23: Bond counsel gives SOS first draft of explanations for voter handbook and letters to agencies. July 24: Bond counsel works with agencies to finalize language in explanations. Must be completed by August 7. August 8: Deadline for agencies to submit final language for bond counsel review. August 10: Bond counsel gives SOS final explanations. August 13: Sue gets final language for explanations for English draft of Handbook. At this point Sue has entire handbook. August 24: SOS must provide printer with signed off copy on voter handbook –this is the digital proof, which goes to print–Elections/SOS sign off at this point. Printer starts printing 400,000 copies of English version of voter handbook. September 11: Pinter starts printing 100,000 copies of Spanish version of voter handbook. In practice, these deadlines would be repeatedly delayed and the Secretary of State would not sign off on the final language for the constitutional convention question until September 15 (only one day before the original date when the mailing of the 2014 Voter Information Handbook was supposed to begin). The information will appear in a booklet being published by our office to provide the voters with a list of all referenda and a straightforward explanation of each question . This publication is not a forum for advocacy, but is meant to provide a short and simple overview of the question…. Please review the material and respond to Paul A. Campellone, Esq., the attorney who is assisting us with the referenda questions, with any final comments by 11:00 am on Monday, August 4, 2014. July 22, 2014. Michael Narducci emails Mark Welch that the final language for the 2014 Voter Information Handbook must be finalized by August 4, 2014. July 29, 2014. The members of the Bi-partisan Preparatory Commission are appointed by the General Assembly leadership. Eight of the twelve appointed members are members of the General Assembly. [T]he Preparatory Commission shall report its findings to the Governor, the Speaker of the House of Representatives, the President of the Senate, and to the public, through the news media, no later than July 30, 2014. July 30 passes with no report. A secret version of the report will be approved by the commissioners on August 25, but the final report including the amendments and other minor changes will not be released to all commissioners until September 3. It will, however, be shared with various insiders, including the General Assembly’s leadership. As late as September 11, Michael Narducci would ask Thomas O’Brien: “Where online can I find the final report from the commission? If it is not online can I obtain a copy?” A Public Records Act request for correspondence between the Office of the Secretary of State and legislative staff between July 29, 2014 and September 16, 2014 provided no indication that the Secretary of State’s staff responsible for producing the 2014 Voting Information Handbook saw the final Commission Report prior to September 11. Missing the report deadline will impact the date of the release of the Secretary of State’s 2014 Voter Information Handbook and the public’s ability to vote early via mail-in ballot. Unless the Secretary of State delays his own deadline for the Handbook, it will now be impossible for him to comply with the General Assembly leadership’s insistent demand that Question #3 in the Handbook include its preferred wording . At no point during the five public meetings of the Bi-partisan Preparatory Commission will there be a public acknowledgment that the July 30, 2014 report deadline was not met, let alone that this failure would have practical consequences. At no point, too, will either the General Assembly’s leadership or the Secretary of State publicly acknowledge the implications of the missed report deadline for the public release of the 2014 Voter Information Handbook and the laws relating to the deadline for that release. July 31, 2014. The first public meeting of the Bi-partisan Preparatory Commission. It will be held with only 48 hours public notice–the minimum legally required. There will be three poorly publicized public hearings for the Commission, a dramatic drop from the 14 well publicized public hearings when the Commission was first implemented in 1984. The Commission will send out no press releases; advance notice for the hearings will primarily be provided by the various organized yes and no groups. The Commission report will supposedly be based on the public testimony. It will also imply an extensive public outreach campaign, which is the premise on which it is summarized and linked to in the 2014 Voter Information Handbook. August 2, 2014. The Providence Journal publishes J.H. Snider’s and Beverly Clay’s critique of the Bi-Partisan Preparatory Commission. August 4, 2014. Michael Narducci emails to Lynne Urbani the draft text for questions 1 to 7 in the 2014 Voter Information Handbook. He tells her that the deadline for final text is August 14 to meet the August 24 deadline for final text to get to the printer. This deadline, in turn, would help the Secretary of State meet the statutory requirement for having mail-in ballots available to voters two months ahead of the general election. electors of the State voting. However, the preparatory commission for the proposed Constitutional Convention submitted by referendum to the electors of the State in 2004, which was not approved, reported that the projected cost to the taxpayers of the State of a Constitutional Convention in 2006 that would be similar to the last Constitutional Convention held in 1985 would be approximately $2,000,000, after adjusting 1985 costs for inflation. August 7, 2014. The second public meeting and first public hearing of the Bi-partisan Preparatory Commission. The Commission’s Co-Chair and Moderator, Rep. Cale P. Keable, announces that the description of Question #3 in the Secretary of State’s Voter Information Handbook will be based on the Commission’s Report. August 14, 2014. The Secretary of State’s deadline for final wording for Question #3. In accordance with the deadline, Michael Narducci sends to Mark Welch and John Fleming “the final questions and explanations that will appear in the referenda guide.” The final wording does not change the passage above but that wording will be substantially revised over the coming month. August 19, 2014. The third public meeting and second public hearing of the Bi-partisan Preparatory Commission. August 21, 2014. The fourth public meeting and third and last public hearing of the Bi-partisan Preparatory Commission. Jack Partridge, a member of the 1973 Constitutional Convention that created the constitutional language mandating a Bi-partisan Preparatory Commission, argues that the legislature has not implemented the Commission as the 1973 Framers intended. With regard to Article XIV, Section 2 and the Preparatory Commission, what did many delegates to the 1973 Convention expect would occur? First, we expected that the General Assembly would establish the Preparatory Commission well in advance of the vote on whether there should be a convention, the common thought at that time was a year in advance. Secondly, it was thought that it would be comprised, primarily, of non-members of the General Assembly. I can absolutely assure you that it was not expected there would be General Assembly members in a majority on the Preparatory Commission because many constitutional issues directly affect the General Assembly, creating possible conflicts. Thirdly, there would be a written report given to the voters well in advance of the question being on the ballot. And lastly, it was thought the Preparatory Commission would not take positions with respect to individual issues. The Preparatory Commission would, instead, determine the principal issues that might be considered, suggest pros and cons on those issues so that the issues could be robustly debated. In that regard, it is important that we look at the constitutional language with regard to the Preparatory Commission. Its role was “to assemble information on Constitutional questions for the electors;” not to take positions thereon. I note that many delegates, myself included, did not feel at the time we had the votes for more specificity on some of these points. The Commission does not acknowledge any of these issues in its final report. August 24, 2004. The secretary of State’s deadline for getting the final text of Question #3 to the printer. This deadline is not met. August 25, 2014. The Secretary of State’s revised deadline for submission of information related to the 2014 Voter Information Handbook. At 10:45 am, Lynne Urbani asks Michael Narducci whether the 4:00 pm deadline for the question #3 wording in the handbook will be met. The parameters of a Constitutional Convention would be decided by the General Assembly and the elected delegates to the Convention. The last Constitutional Convention was held in 1986. The actual cost to the taxpayers of conducting a Convention in 2016 is unknown. However, the bi-partisan preparatory commission for the proposed Constitutional Convention that met in July and August 2014, reported that the projected cost to the taxpayers of holding a Constitutional Convention in 2016 would be approximately Two and One-half Million Dollars, ($2.SM), after adjusting 1986 costs for inflation. There are two noteworthy features of this proposed text. First, prior to 4:00 pm on August 25, the Secretary of State’s revised deadline for submitting the final text, the Commission’s draft report had not been shown to some commissioners. In other words, the legislative staff are at this point in time effectively acting on behalf of the legislative leadership rather than the Commission. But the the proposed text for Question #3 implies that the text has been seen and approved by the Commission. This would be the case after the 3:30 pm Commission meeting the following day. But it wasn’t the case when the text was submitted. Second, the $2.5 million figure is based on a simple extrapolation based on inflation from the 2004 $2.0 million figure. Later, there will be a fudge to indicate that the $2.5 million extrapolation is based on more than inflation. But there will be no explanation or data provided to justify the new basis for the $2.5 million figure either in the Commission Report or the 2014 Voter Information Handbook. Nor will there be an acknowledgment or explanation why the fudge factor should include new types of costs for a future convention (e.g., using the State House or other government property for convening) that weren’t included in the cost of both the 1973 and 1986 conventions. According to the Consumer Price Index inflation calculator, the $891,000 spent on the convention in 1986 would cost $1.5 million in 2004 dollars and $1.9 in 2014 dollars. But if the $2.0 million used in 2004 is used to extrapolate to 2014, the result is $2.5 million. In other words, the $2.5 million is the right inflation factor if the basis is the 2004 Voter Information Handbook. But that is the wrong basis because the 2004 number was incorrect based on a faulty CPI calculation. Given the controversy in 2014 over the basis (e.g., see the email from Tim Murphy below to Preparatory Commission Co-Chair Keable and the email from Justice Robert Flanders to both the Preparatory Commission and Office of the Secretary of State), the staff probably discovered this error. Instead of fixing it, however, the staff appeared to fudge how they derived the $2.5 million figure. Million Dollars, ($2.5M), after adjusting 1986 costs for inflation and in anticipation of numerous factors that could increase the cost of a convention to include the total number and location of convention meetings, the expense of hired experts, as well as the cost of a staff necessary to assist delegates in carrying out their duties. At 4:34 pm, Paul Campellone sends to Michael Narducci a “clean version of the Explanation,” which is presumably ready to go to the printer. August 26, 2014. At 7:34 am, Michael Narducci complains to Paul Campellone and cc’s Mark Welch that “They are putting us behind.” He continues: “I am going to start going forward with everything else that needs to be done at this point. I will send you the revised language once I get it.” In other words, the Secretary of State has effectively decided to defer to the staff of the General Assembly’s leadership on the wording of Question #3. Both the Commission and General Assembly leadership strongly oppose convening a constitutional convention. (1) The estimated total cost of the project or program, including financing (using a reasonable assumed rate of interest), legal, and other costs. (2) The estimated useful life of the project, and the term of the bonds, other indebtedness, or other obligation. (3) A reasonably detailed description of the project or program, its purposes, and a project timetable. “ (Emphasis added). The question of whether to hold a constitutional convention does not involve “the issuance of bonds or other evidence of indebtedness or any other long term financial obligation.” So, on what basis can such a statement be included? In my opinion, any insertion of estimated costs or expenses in holding such a convention is not only unauthorized and illegal, but an attempt to put a negative thumb on the voters’ scale. This has to do with the proposed language that was sent yesterday then pulled back last night. He is saying that we should not put the cost of the convention in the booklet as it could persuade voters as to how to vote. In researching we put it in 2004, we had the language in the book. 1984 and 1994 we did not. Maybe the final language today will not have the dollar amount? At 3:30 pm, the fifth and last public meeting of the Bi-Partisan Preparatory Commission commences. Despite this being a public meeting, the draft report is only made available to Commission members. The Commission makes two amendments to the draft report and then votes on the final report. One of the two amendments includes the wording of the cost estimate. The final roll call vote is 10-1. The name of the dissenter is clear but not the names of the ten who voted for it and the absentee commissioner. Not a single roll call vote taken at the five public meetings of the Commission would include a roll call vote by name either at the meeting or in the minutes. On video, the Commission only calls out the names of those present. But even this information isn’t available on August 26 because the video doesn’t start until midway during the meeting. Two Senators (Goodwin and Picard) did not attend any of the three hearings for public testimony. The Commission refuses to make the final report publicly available before the amendments have been included in the report. Inserting the few sentences required by the amendments–a several second job with a modern word processor–inexplicably takes the Commission more than a week. I was asked to include a section about where the report will be posted. I took the below language from the 2004 report which came in exactly the same location – immediately after the costs paragraph. With these two paragraphs – and all else the same – the handbook is ready on this question. The parameters of a Constitutional Convention would be decided by the General Assembly and the elected delegates to the Convention. The last Constitutional Convention was held in 1986. The actual cost to the taxpayers of conducting a Convention in 20 16 is unknown. However, the bi-partisan preparatory commission for the proposed Constitutional Convention that met in July and August 2014, reported that the projected cost to the taxpayers of holding a Constitutional Convention in 2016 would be approximately Two and One-half Million Dollars, ($2.5M), after adjusting 1986 costs for inflation and in anticipation of numerous factors that could increase the cost of a convention to include the total number and location of convention meetings, the expense of hired experts, as well as the cost of a staff necessary to assist delegates in carrying out their duties. A copy of the complete report issued by the bi-partisan preparatory commission presenting its findings may be viewed on the website of the Rhode Island General Assembly (www.rilin.state.ri.us) or a copy of the report may be obtained from the Rhode Island State Library, State House Room 208, Providence, RI 02903. Below is the language from the commission. How do we want to handle the cost factor? Attached are marked and clean versions of the explanation to Question 3 reflecting changes to the draft of the explanation provided on 8/25/14. As you will note, I have left out the paragraph on projected costs as previously mentioned. I have inserted the proposed paragraph referencing how to obtain a copy of the report but also added that the report includes information on issues that may be considered by the Convention and projected costs. You may want to forward this to Tom O’ Brien for confirmation and sign-off. You may also wish to have him confirm the report is now online because I could not locate it on the website. Attached is the amended language that will appear in our voter handbook. In discussion with bond counsel [Paul Campellone] and our legal counsel [Mark Welch] we made a determination to remove the cost of the Convention from the explanation. Please review the attached and let me know if it is good to go. I need to know asap as this booklet has to go to print. Mark Welch and Paul Campellone presumably agreed with Justice Robert Flanders’ assessment that the cost language had been improperly inserted into the 2004 Voter Information Handbook and that that mistake shouldn’t be repeated in 2014. Lynne Urbani replies to Mike Narducci and cc’s Thomas O’Brien: “Why did they recommend removing it? I know I will be questioned.” There is no reply to this email in the public record. September 3, 2014. The Commission Report is publicly released. No explanation is provided for the eight day delay between the Commission’s approval of its report and its public release. The final report includes one small change not approved by the Commission. September 8, 2014. Tim Murphy, who testified before the Bi-partisan Preparatory Commission, writes to Co-Chair Rep. Cale P. Keable of the Bi-Partisan Preparatory Commission raising questions about the methodology and data he used to derive the $2.5 million estimated cost of approving the constitutional convention referendum on November 4, 2014. In the report of the Bipartisan Commission on the Constitutional Convention, an estimate of costs of the convention is provided as $2.5 million, based on adjustments of the costs of the 1986 convention. According to the Consumer Price Index, inflation has increased slightly less than 25% since 1986. However, the number of congressional districts, and therefore the number of delegates, has decreased by 25%, which offsets any inflation increase. Will you please let us know how you came up with the $2.5 million number? Co-Chair Keable is a strong opponent of convening a state constitutional convention and cites his own $2.5 million estimate of its cost as a reason why. As of September 25, 2014, Murphy had received no reply. September 9, 2014. 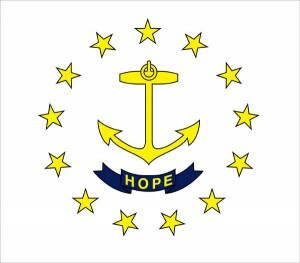 Primary election in Rhode Island. Secretary of State Mollis loses his bid for the Democratic nomination for lieutenant governor despite receiving the endorsement of Speaker of the House Nicholas Mattielo, who is generally believed to be strongly opposed to convening a state constitutional convention. Results are available September 10. The Speaker’s endorsement of Mollis occurred on June 19, 2014 at the state Democratic Party’s endorsement meeting. Where online can I find the final report from the commission? If it is not online can I obtain a copy? Given that the 2014 Voter Information Handbook endorse the Commission Report–without being required to do so by law–this is a remarkable admission. Most remarkable, the explanation of Question #3 in the Handbook cites the Commission or its Report five times, but it makes no mention of the results of the primary function of the Commission, its three public hearings, and its Report, which was to gather and summarize the issues a constitutional convention might address. Of course, these issues, such as legislative redistricting, ethics, transparency, and term limits, are exactly the framing of Question #3 (a real discussion of its perceived potential benefits as opposed to its potential costs) that the legislative leadership opposes. The only concrete item from the Report–and not even a subject of the Commission’s three public hearings except in an incidental way–is its flawed cost estimate using secret data and presented at the final meeting of the Commission where public comment was not allowed. Of course, less than 1% of those who receive the taxpayer financed distribution of the 2014 Voter Information Handbook will take the time to ferret out the hard-to-find Commission Report on the General Assembly’s website (even the staffers working with the legislative staff found it hard to find), much less drive to the State House Library, Room 208, in Providence (the 21 words devoted to the library location of the Commission Report but not a list of the issues mentioned in the Report is truly comical and perhaps the best punchline for describing the nature of the Question #3 wording). the first report identified as final report from the Constitutional Convention Preparatory Cormmission. I will attach a copy for you as well. As an experiment, ask someone to go to the General Assembly home page and ask them how long it takes them to find the special reports section. Hint: it is not located under one of the menu headings at the top of the page. At 4:56 pm, Michael Narducci emails Lynne Urbani and cc’s Thomas O’Brien that the Secretary of State has overruled the legal opinions of his legal and bond counsels. Narducci also informs Urbani and O’Brien that the new deadline for the printer to get the voter information handbook is September 12. The SOS has made the determination to leave the cost in as first asked by the commission. I attached the pages with the current language. Please make the corrections on the attached and let me know where you would like to insert the below language. I need this back first thing Friday morning as we have to go to print tomorrow. A striking misstatement of fact is that it wasn’t the Commission that had first requested of the Secretary of State that the cost language be included in the Question #3 explanation. The Commission couldn’t have made such a request because the commissioners as a whole hadn’t seen the draft report and none had voted on it when the cost estimate was sent to the Secretary of State on August 25. Nor at that point had the Commission publicly discussed the projected cost of a future convention. That discussion wasn’t to take place until August 26–and even then it was negligible and in the context of proposed amendments. Moreover, the wording for Question #3 of the 2014 Voter Information Handbook was never discussed at any public meeting of the Commission. In reality, the General Assembly’s leadership, working through its trusted staff, had asked for the cost information to be included in the Question #3 explanation. At 9:19 pm, Thomas O’Brien emails his Senate counterpart Richard Sahagian and and cc’s Lynne Urbani with the news. At 9:23 am, Richard Sahagian asks for an okay from Marie Ganim. September 12, 2014. At 12:08 pm, Marie Ganim replies to Richard Sahagian with a request to move up the cost estimate in the two page Question #3 explanation. At 1:24 pm, Richard Sahagian forwards Marie Ganim’s suggestion to Thomas O’Brien and Lynne Urbani. At 10:15 pm, Thomas O’Brien emails Michael Narducci and cc’s Lynne Urbani with the good news: “I believe we’ve reached a consensus on our end.” He then relays the edits they want included in the final Question #3 wording. September 15, 2014. At 1:50 pm, Michael Narducci emails Thomas O’Brien, “Attached is the amended language. Please let me know asap if this is a go.” Here Michael Narducci clearly enunciates what has been apparent all along: the Secretary of State has given the General Assembly leadership a veto on the Question #3 text in the 2014 Voter Information Handbook. At 3:44 pm, Michael Narducci thanks Thomas O’Brien for the approval. September 16, 2014. At 1:00 am, the Providence Journal publishes Jack Partridge’s critique of the Bi-partisan Preparatory Commission. In the op-ed, Partridge repeats key points he made before the Commission on August 21 (see above). September 16, 2014. The text of question #3 is made available to Bi-Partisan Preparatory Commission commissioners but not the general public. See Question #3–Shall there be a convention to amend or revise the Constitution? At 1:08 pm, J.H. Snider submits a Rhode Island Access to Public Records Act request to the Secretary of State requesting the emails used to generate the chronology contained here. There are three questionable claims made in this email to the Secretary of State. First, the calculation and use of the $2.5 million figure by both the Commission and Secretary of State was anything but transparent. Second, the Preparatory Commission never recommended that the cost of a convention be included in the 2014 Voter Information Handbook. There was neither a public discussion nor vote on such a recommendation during the Preparatory Commission meetings. The Commission staff were effectively making this recommendation on behalf of the General Assembly leadership, not the Commission. And they had done so in complete secrecy. Third, it was true that the 2004 Voter Information Handbook had included such information. But neither the 1994 nor 1984 guides had, and the 2004 guide was a case study of bias and careless mathematical error. Specifically, the $2.0 million estimate was a careless mathematical mistake that had been initially repeated as fact during the 2014 Bi-partisan Preparatory Commission public meetings and then carried over into the initial Question #3 wording in the 2014 Voter Information Handbook until the fudge had been included to hide the already long-repeated error. September 25, 2014. Op-ed on the linkages between the Bi-Partisan Preparatory Commission and Voter Information Handbook 2014. September 25, 2014. The Providence Journal runs an editorial, Closed to You, on the failed promise of Rhode Island’s Access to Public Records Act due to failed government compliance. The Office of the Secretary of State fulfills J.H. Snider’s September 16, 2014 public records request within ten business days but not his October 6, 2014 follow-up request. I’ll be very upfront with you, I do not believe we should have a constitutional convention at this time. I think it would be a mistake for the state. Part of the problem is there is no limit on what can be brought up at this constitutional convention…. To a rational, reasonable person that should be a little scary…. The convention can do whatever it wants…. The constitution can be amended in other ways that doesn’t put us in jeopardy…. And, of course, there is the cost. I think it is a very difficult number to pinpoint. The committee estimated it at about 2.5 million dollars. I personally think it would be higher. That number was derived by looking at what prior constitutional conventions had spent… I’d rather see the 2.5 million dollars put towards the developmentally disabled in the state. Keable has also spoken out elsewhere against a constitutional convention. [A] Constitutional Convention is an unnecessary expenditure of taxpayer dollars and a potential vehicle for special interest groups to accomplish their goals at the expense of all other citizens…. If voters are unhappy with the legislature, they have the opportunity every two years to make changes to that body…. [I]t is clear that Rhode Island does not need to spend $2.5 million to bring constitutional issues before voters when that can be done by the elected members of the General Assembly who are beholden not to one particular agenda but rather to all the voters in their district. I urge Rhode Islanders to vote NO on Question Three. [Democrat Paiva Weed] is opposed to holding a convention. She is concerned there would be an influx of money from special interest groups that want to influence the convention. If those efforts were successful, certain issues would be reconsidered legislatively, and many would revolve around civil rights and liberties, she said.